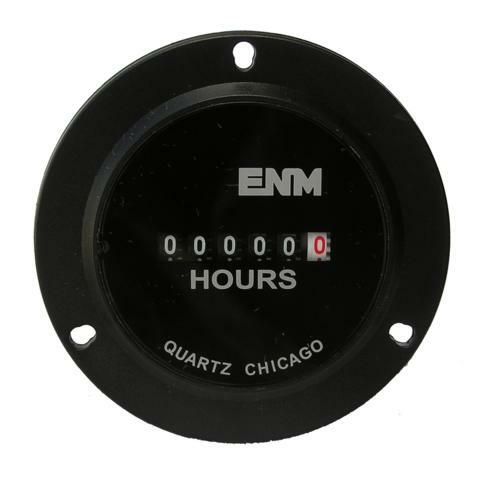 Hourmeter, 120V - August Industries Inc.
Classic gauge mounted hourmeter. Front flange mount with three holes. Electrical connections are in the rear and allow for spade connections. This hourmeter is 120 VAC.